The Arlo Pro offers a great solution for users looking to add video surveillance to their home. This HD camera is weather-resistant and offers IR night vision for dark settings. It works with Amazon Alexa, Google Assistant, IFTTT and Stringify. 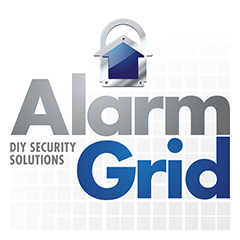 Buy the Arlo Pro Smart Camera from Alarm Grid. Users looking for quick and effective video surveillance for their home can achieve great results with the Arlo Pro Smart Security Camera. The device connects with the free Arlo App for easy and convenient viewing. Any captured video will be stored on the Arlo Cloud for up to 7 days of access. In order to use the Arlo Pro Smart Security Camera, you must have an Arlo Base Station. This device allows the Arlo Pro to communicate with the Arlo Cloud Servers so that any captured footage can be stored. For this setup, the camera will communicate with the base station. and the base station will connect with the internet. All setup is very easy to complete, and the free-to-use Arlo App makes the entire process extremely simple. Unlike the standard Arlo HD Camera, the Arlo Pro offers rechargeable battery options. It uses the Arlo VMA4400 Battery for power, and an indoor power cord keeps the device running. There's also an optional charging station and a solar panel charger accessory available. All these options offer the user excellent flexibility in choosing different ways to power their Arlo Pro Camera. For mounting, there are optional table and ceiling mounts, wall mounts, knob mounts and quadpod mounts available, in addition to the standard magnet mount that comes included. An integrated microphone and built-in speaker allow for two-way communication with whoever is at the camera. Digital pan and zoom features are included. With its IP65 weather-resistant rating, the Arlo Pro can stand up to almost any environmental condition that nature presents. IR night vision is also included for capturing video in the darkest of settings. The HD camera records in beautiful 720P for crystal-clear viewing from the Arlo App. Its resolution is configurable up to 1280 x 720. The app is available for free download for both Android and iOS devices. The camera starts recording upon detecting any noise or movement, and the footage is stored on the Arlo Cloud Servers for up to 7 days. The user can receive configurable alerts through the Arlo App whenever the camera activates. Geofencing options are available to control when the camera should activate. Smart functionality is also a huge feature for the Arlo Pro Camera. It can work with Amazon Alexa, Google Assistant, IFTTT and Stringify for easy access and control. The camera will also work with the Telguard Interactive App for users with security systems that connect with the Telguard platform. But users should be aware that the Arlo Pro will not work with the Total Connect 2.0 and Alarm.com services. However, the Arlo Pro is still a great accessory for pairing with systems that connect with these platforms as a way for conveniently adding video surveillance to the home. The camera measures 3.1"L x 1.9"W x 2.8H. Note: This camera requires the use of the Arlo Base Station to connect to the network.